When tax season comes around, it is important to decide whether you are going to hire a tax preparation expert, or attempt to navigate the oftentimes complex forms yourself. In most cases, it is wise to go with a professional, as you are practically guaranteed accuracy and are given the added convenience of not having to labor over it all yourself (a process that takes hours for many). Going with a professional can also save you money, as they can identify deductions you may be eligible for that you could miss on your own. If you need a highly experienced and professional tax preparation team in the San Antonio area, give Guerrero CPA a call! Guerrero CPA is a dynamic company that consists of experts in tax preparation for both businesses and individuals. 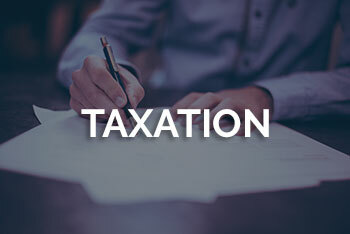 Our team includes Certified Public Accountants, Bookkeepers, Taxation Consultants, Financial Advisors, Accountants and other highly-trained and experienced specialists. Our only goal is to provide clients with a dedicated service that focuses on both communication and results. When you hire us to help with your tax preparation, we will work closely with you to ensure we get you the best results possible. We are constantly staying up-to-date on current trends in the tax field. When it comes to your tax preparation, it is important to stay organized. By collecting information for your taxes throughout the year, rather than scrambling at the end of the year for receipts and deductions, you will avoid stress and the chance of forgetting important documents. When you work with Guerrero CPA, you can receive tax preparation services to make sure you are ready when tax season rolls around. Preparing your own taxes can be a daunting task, which is why you might want to work with a professional. We can help identify certain credits that you may be entitled to and make sure you are keeping more of your hard-earned money. Our team is dedicated to providing you with the personal attention you deserve, helping you get the maximum refund. Rely on our affordable tax preparation services today, and get more money in your pocket. For more information, give us a call today! We utilize the CCH Tax Research Service, the leading tax research software, to perform Tax Research.